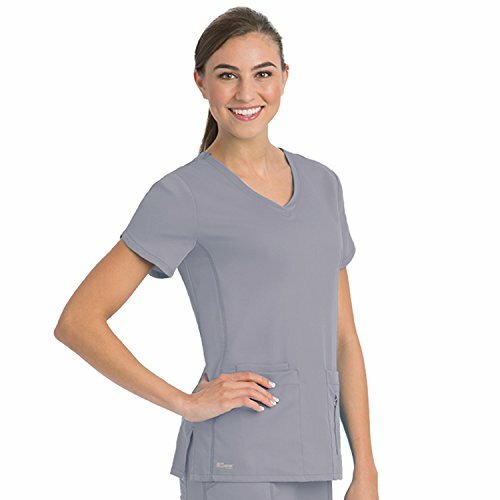 A tulip sleeve adds a uniquely feminine detail to the Active by Grey's AnatomyTM Women's Side V-Neck Solid Scrub Top. Lots of layered pockets and side panels balance this top with sporty style. 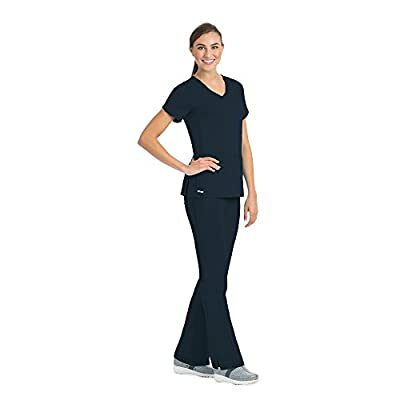 Curved v-neckline Short sleeves with tulip detail Side panel seaming Back shaping darts Two front patch pockets interior cell phone pocket and side zipper pocket Side vents at hem Junior fit 77% polyester 23% rayon Center back length: 25½"